Oh..it been a really crazy morning. Tons of work & lots of confusion & an otherwise very happy child who wants ONLY her mom's lap today. Trust all of this to happen on the same day. The only thing that can bring a smile to my face right now is some dark chocolate dessert ( which I have ordered) & some retail therapy. Since I can't go out right now I will settle for some virtual " Green" Retail therapy. On Day Six of the Green post-ival let me take you to some green stores. Wear your seatbelts now and lets SHOP GREEN. Lets start with Peopletree. An absolute favorite. I love the way the whole store is like one little maze. And you never know what you may find inside once you enter it. Lovely Clothes, pretty stationery, to die for jewellery, books, art et al. All under one roof. The lady behind it, Gurpreet is so warm & wonderful. I had the pleasure of meeting her some years back and visiting her really cute secret office! A lovely staircase from within the store takes you to her workplace. When in Delhi, do stop by here for some gorgeous green shopping. This is what they have to say, " Here, rich and meditative arts traditions collide with shiny plastic instant cheapness. Ochre and madder jostle with fluorescent pink. Some things die, and sometimes we weep. Sometimes we pick up the pieces and join them in new ways.Browse through these inventive and irreverent examples of urban-folk, industrial-pop design. We create alternatives to globalised monopolies and branded "hipness", working with the exciting cross-currents of the contemporary South Asian milieu." Now that I have had my fill, something for the baby. Earthen tree. A US based chain of stores but with their heart in India. They retail these really sweet GREEN wooden toys. Manufactured by craftspersons in India. 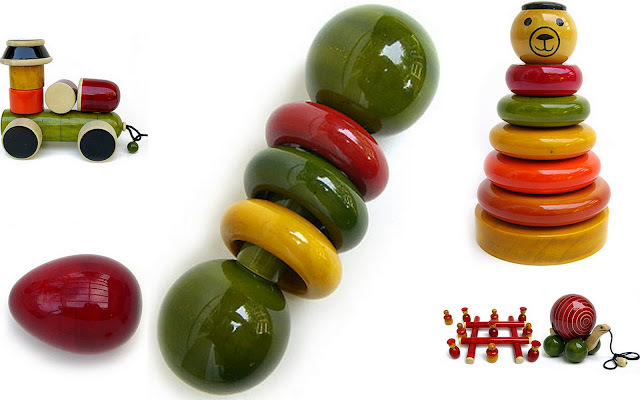 They have a lovely range of pull toys, baby toys & rattles stackers, games, musical & educational toys. A MUST for every baby right. I love the idea of exposing my child to the kind of toys I once played. 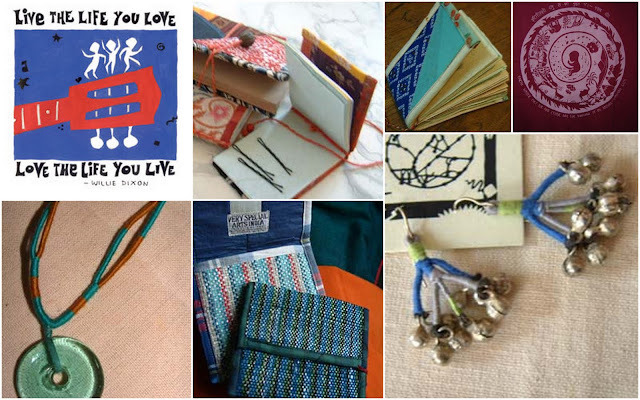 And we picked up so many from the Dastkar fair this year. Also the fact that is toy is handmade, colorful & safe. They say, " Our aim is simple. Our natural wooden toys are not just that. They are works of art, made from eco friendly materials to create safe toys that have a great story to tell. We believe in keeping our costumers informed and knowledgeable, while making these toys fun and educational for children.We tell you all about our safe, lead free toy story because we take pride in it." psst : I also came across this amazing store called doyouspeakgreen. They are into eco-friendly apparel. And whats wonderful is that not only you can buy stuff online but also 10% of their sale proceeds go towards Bombay Environnmental Conservation. Also don't forget to read an old post on another Green Store : Motherearth, right here. Rem, how I went crazy shopping there! GB: Oh yes! its the one with the "Gufa" he he! What a lovely store!